Speaking of design, the first thing you should pay attention to is integration of all working components of the system into a single nonseparable unit (LCLC platform). Configurational simplicity is the main guarantee of success - you don't see such a harmonic combination of compact size, integrity, and thermal efficiency very often. 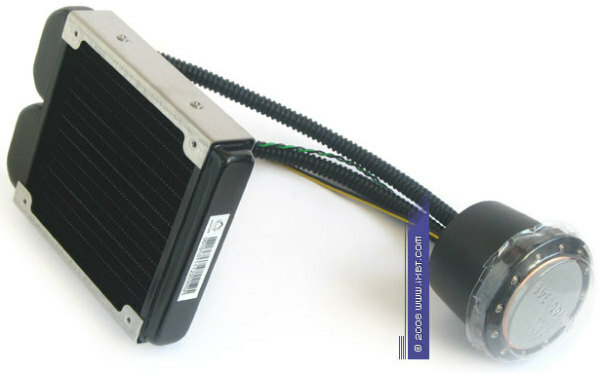 In technical terms, Siberian Tiger NQ-3580 does not differ much from coolers with heat pipes: heat carrier is initially "preloaded" into the system (just like the liquid in heat pipes), a pump and a heat exchanger are united into a "solid" unit of the water block (similar to the base of the cooler), the water block and the heat sink are connected with flexible pipes of fixed length (similar to the thermal structure of a heat sink with heat pipes). As a result, the LCLC design effectively gets rid of all those nasty issues that usually make liquid coolers less attractive to common users (big size, lots of pipes, difficult to install, etc). The key element of this system is no less interesting - a "solid" heat exchange unit in compliance with the integral concept of the LCLC platform. 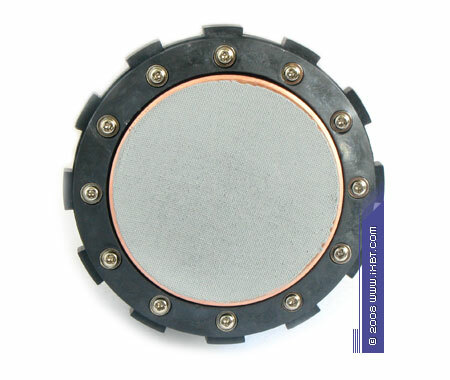 It connects a pump and a CPU block in a purely physical sense: these components are blended here, so the heat exchange unit has become a cold plate. Along with a special structure of the inner heat exchange surface for low-pressure air streams (the pump offers a deficit metering characteristic in order to minimize noise), this connection significantly improves hydraulic efficiency, almost eliminates pressure losses in the heat exchanger, optimizes the speed profile, and thus intensifies heat release practically to the level of vanguard microchannel water blocks pumped through with high-pressure (and high-speed) streams. 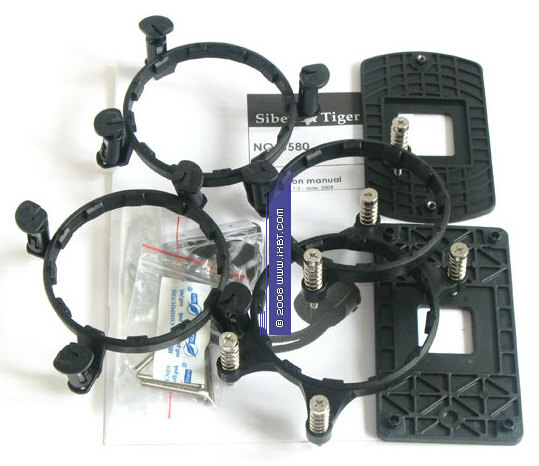 We should also mention the heat sink in Siberian Tiger NQ-3580 - it's a classic design, advanced corrugation structure with a well-known automobile configuration (flat pipes plus a corrugated band). Despite its compact dimensions, it offers imposing thermal parameters - dense finning (16 stream turns), advanced heat exchange surface area, neatly joined pipes and corrugated band. Now what concerns the bundled fan (1600 rpm). Along with attractive exterior, it demonstrates a well balanced configuration of the impeller that optimizes the metering characteristic and reduces noise. Running a few steps forward, I want to say that this fan shows no worse results than Scythe Minebea fans generating the same level of noise. 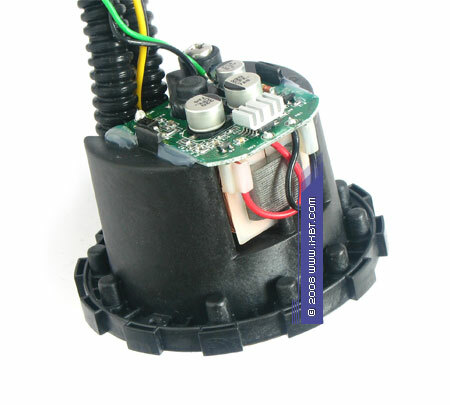 We are not disappointed with its electromechanics either - the fan is equipped with a good plain bearing and a neat control circuit, spiced up with smoothing capacitors, which are used to muffle popping of the engine. OK, we've covered design peculiarities of this kit. Our impressions are very good so far. And now let's address its usability. 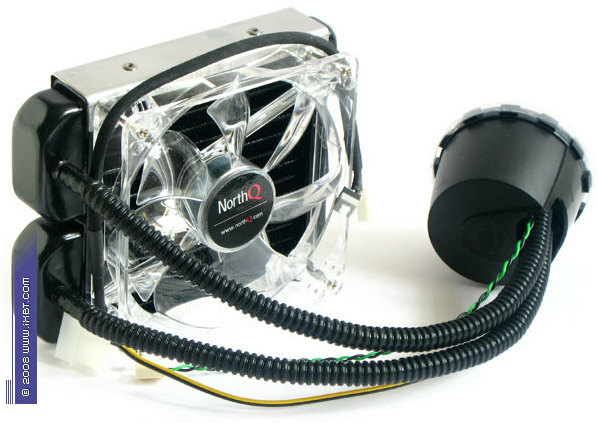 As we already noted in our articles, users' requirements to usability of liquid cooling kits can be divided into three main groups - installation convenience in the first place, easy maintenance, and reliability of all components in this kit. They are major requirements to usability, other issues are of minor importance. What concerns the first group, Siberian Tiger NQ-3580 is quite practical: retention module of the water block is initially adapted for multiple platforms (it supports all modern platforms from Intel and AMD, including old Socket 478 and Socket 754), and provides rational installation. 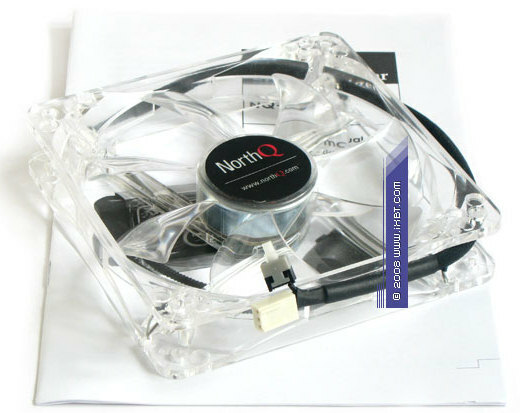 For example, installing the water block into LGA775 is practically identical to installing the standard boxed cooler (owing to reference clips). It's just as easy to install it on AMD platforms (although you have to deal with screws). 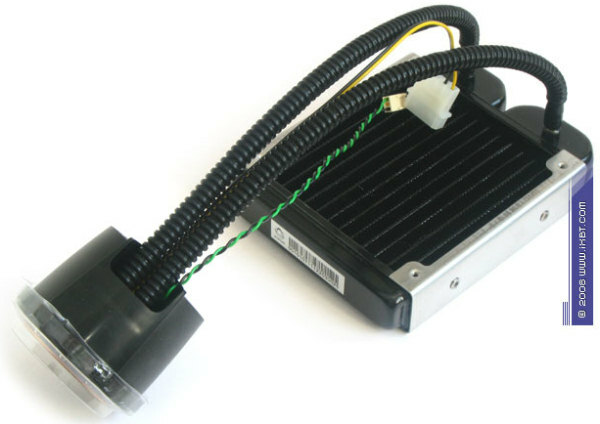 Our cooling kit is also user friendly as far as the heat sink installation is concerned - using the bundled hardware it can be mounted instead of a fan on the rear panel of a PC case or on a side wall (in single- and dual-fan assemblies), if your PC case allows it. Questions about the second group of requirements are removed from the agenda - coming as a single, factory sealed unit, Siberian Tiger NQ-3580 does not need any maintenance. You can just clean the heat sink from time to time (blow dust off). But you have to do it only if your PC case is not equipped with dust filters. Hence the apparent advantage in the third group - the LCLC platform is notable for high quality of its components. It's built to last. Leaks are out of the question, of course. 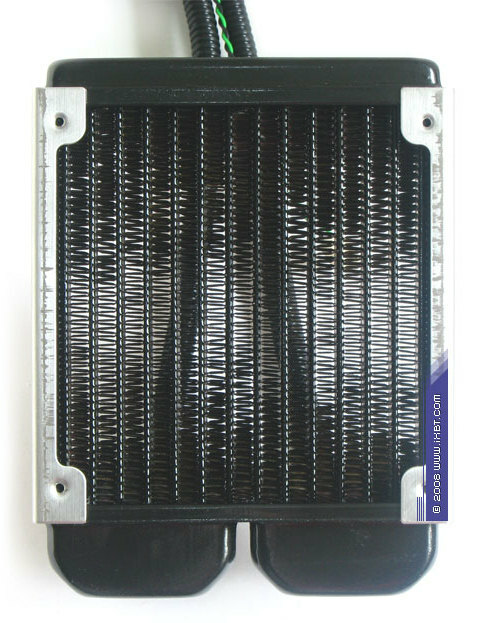 It's guaranteed by the physical structure of the liquid lines (the number of joints is minimized, there are only four contact points between connecting pipes of the water block and fittings of the heat sink) and by material support (the pipes are made of special material with teflon, pipes are soldered to the fittings). Moreover, there will be no problems with evaporating through pipe walls. The most "whimsical" component of this system, the pump, is spiced up with a high-quality ceramic bearing and low-power hybrid electrics. However, there is one minor problem in the usability image. The pump is connected to a power supply unit with a Molex, which is not very convenient. 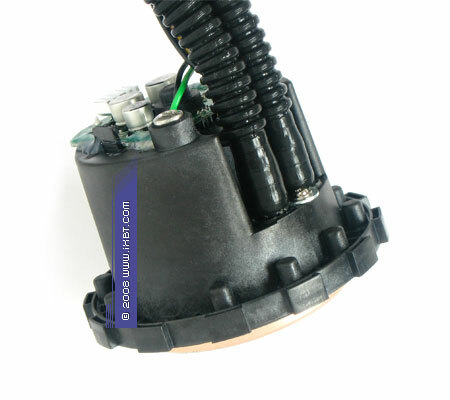 A user may want to control the speed of the pump, for example, to make the system absolutely noiseless. However, this power solution does not allow to do it. 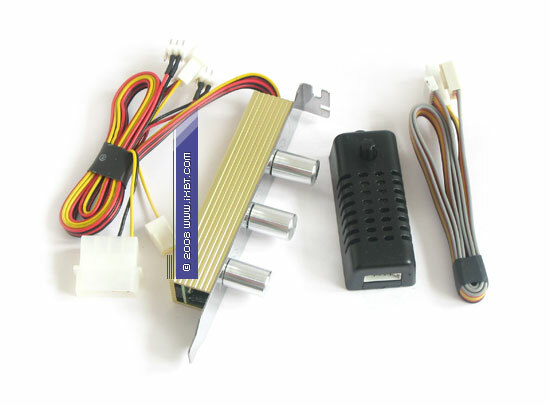 It looks strange, especially considering that the bundle includes a 3-pin connector just to monitor pump speed and two fan speed controllers. It seems that NorthQ and Asetek engineers should work on making the LCLC platform more attractive to users. Well, we've cleared up the usability issues, there is no need to elaborate. It's time to proceed to the main part of today's article - performance results of Siberian Tiger NQ-3580.